Cyber criminals are businessmen nowadays. And they’re good at it too. They make millions from creating and deploying malicious software on targeted devices from all over the world. socially engineering everyone and anyone who falls prey to their ill-willed tactics. Difficulties in updating hardware and software in big companies and public institutions. And these are just the top hurdles that cyber security professionals and the organizations they work in face today. How many of these challenges are you facing in your own organization? The malware economy is nothing new, but the increasing level of sophistication in cyberattacks is definitely a concern for all organizations, no matter their niche or size. This underground market has matured and developed into a threat that affects us all. And ransomware is the most feared of all the cyber threats out there. $209 MMThe FBI reported that, in the first 3 months of 2016, cybercriminals extorted $209 million dollars from businesses and institutions who weren’t prepared to fight it off. With 2016 coming to a close, we can expect that money paid to unlock encrypted data will amount to $1 billion! So far, cyber attackers have often used the “spray & pray” tactic, indiscriminately going after Internet users and their devices. 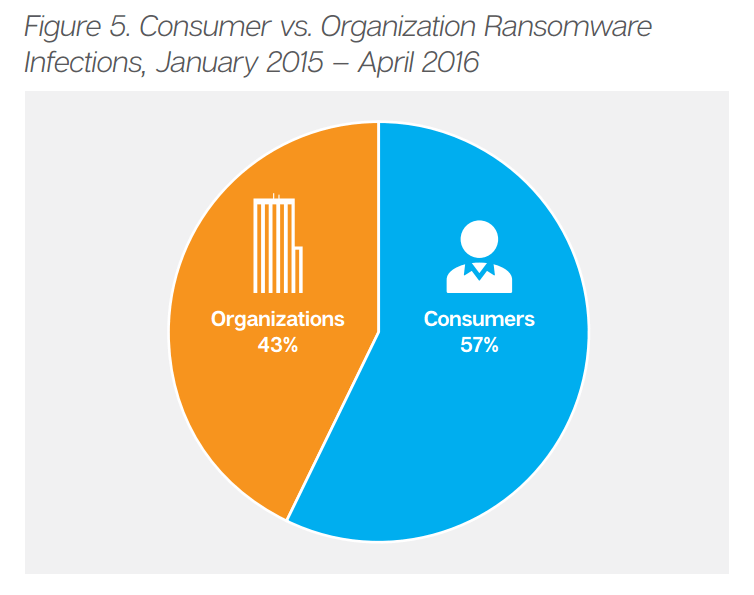 But in 2016 we’ve seen ransomware attacks becoming more targeted. Having learnt from past experiments, blackhat hackers are now showcasing their level of expertise. They create organization-specific payloads and ransomware that encrypts databases, to make it even more difficult for victims to ensure business continuity. They also use ransomware to access the infected devices remotely and to download and execute additional malware, which can ex-filtrate company data (financial information, sensitive documents, etc.). These attacks are designed to force companies to pay the ransom instead of resorting to other safeguards. We can surely assume that the list of “innovations” won’t end here. Cybercriminals have found their golden goose (encrypting malware) and they’re going to exploit it as much as they can. Your organization’s data is a bargaining chip in cyberattacks. That’s because it’s not just your data, but your clients’ data as well. IT criminals know this full well. In every ransomware attack, there’s a big dose of social engineering. We can expect attackers to include legal consequences into their extortion techniques. Just like DDoS attacks use a looming threat to hustle money from organizations, ransomware attacks could start doing the same. Encrypting just a part of the company’s assets could be used as proof of concept. We can encrypt your entire database if you don’t pay up. And you’ll be at risk of long-lasting legal and financial consequences as well. This argument might force the right hands to buckle under the pressure and just pay the ransom for fear of something worse happening. You’ll become liable to fines up to 20 million euros or up to 4% of your company’s annual worldwide turnover of the preceding financial year, whichever is greater. Moreover, being a cybercrime victim will also bring on regular periodic data protection audits, which will increase the burden on your company. These strong sanctions were introduced in the EU GDPR to urge companies to invest in their cyber security and take practical steps towards better data protection. The regulation is coming into full effect in 2018, so there is no time to waste. For many companies, the pressure of a potential fine worth millions of euros may be too much. As a result, they may be tempted to pay the ransom and not report the attack rather than run the risks of exposure. Of course, paying the ransom doesn’t guarantee that more attacks won’t follow. It also doesn’t assure you that you’ll actually get the encrypted data back. We’ve already made a list of the available ransomware decryption tools out there, but the strongest and most dangerous encrypting malware families are still unbreakable (Locky, CryptoLocker, Cerber, etc.). Outpace cybercriminals with a proactive approach to your company’s cyber security. It will help you ensure that you exponentially minimize your exposure to cyberattacks, while mitigating risks and proving to EU institutions that you’re responsibly working on improving your defenses. Valuable advice, thank you as always. Thank you for the kind feedback and for being a loyal reader! It is true that Bitcoin played a key role in this. However, we have to figure out what we can do now, because there’s no way to erase what has been done. Ransomware has existed since the late 80’s (the AIDS malware). It was originally spreading through floppy disks (remember those?) and you would have to pay via Western Union. Bitcoin has merely facilitated something already existing, and the criminals would have resorted to various payment schemes (as they always have done) even of Bitcoin did not exist.